ORCHID VITALITY...........the comforting sanctuary of vital well being. Thanks for visiting our website. At ORCHID VITALITY, our primary goal is to be your "go to" hub for Holistic services and information. We are a "GREEN" establishment specializing in Colon Hydrotherapy along with other organic, revitalizing services. It is our mission to assist our clients in pursuing radiance and vitality from the inside out. We believe a healthy body creates a healthy image. Hence, our primary focus of educating our clients on preventative practices and maintaining health with a natural approach. 1.) Potential Hydrogen (pH) imbalance (most times of alkalosis-too alkaline). 9.) Weakened sense of taste and smell, discoloration of the inner lower lip. 12.) Last, but DEFINITELY not least #Constipation!!! #haveyoupoopedtoday? Destroy the microorganisms that causes bruxism, cravings, migraines, weight gain with the perfect formula!!! A 🍃plant-based 🌱skin perfectionist: Fill in your wrinkles and smile lines,even out your skin complexion and reduce hormonal pimple breakouts. PSST.....🤫It even strengthens your hair follicles. Do you have dry, rough, callused feet and heels? Peel your dead skin away with our Foot Exfoliating Mask. A simple and easy process to help your feet look and feel great! Wear the booties for 1 hour (you can wear socks over the booties so you can walk around). Remove the booties and wash your feet. Soak your feet daily for about 10 minutes. Your feet will begin to peel approximately 4-14 days after application. You have open cuts or wounds on your feet. Foot Exfoliating Mask is a callus remover that gets rid of dry, cracked and calloused feet and rebuilds smooth and beautiful feet again. How to Use: Foot Exfoliating Mask is a very easy to apply. Simply soak, clean and dry your feet, slip your foot into the mask. Seal and leave it on. After an hour just remove the foot mask and wash your feet gently with soap and water. No need for vigorous scrubbing or a foot file scraper. It's a great dead skin remover. One to two weeks after the application, the dead skin will start falling off. The calluses and dry, roughs heels will be renewed! Full Body Massage w/ Eucalyptus oil and Pink Himalayan Sea Salt Stones. If you are looking for the BEST unorthodox services, products, and EXPERT knowledge - look no further. 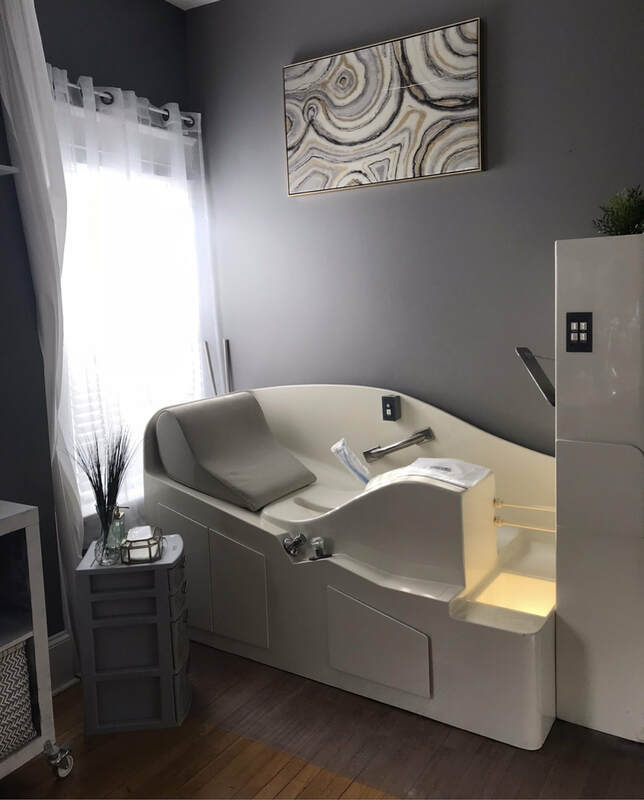 ORCHID VITALITY is the southern abode of the Vitality Massage, the Honey and Lavender Massage, Colon Hydrotherapy implants, and the Herbal Champagne (non-alcoholic), In-house formulated probiotics. Custom V-Steam Baths! Free Parking on site. With a written prescription from your primary care physician your Colon Hydrotherapy sessions can be covered under your health insurance (excluding Georgia Medicaid, Medicare,Tricare and only out-of-network benefits plans for Kaiser Permenente) plan. Check out our Lead Colon Hydrotherapist on RHOA!!!! !